As you fill out a Mi Pueblo Food Center application, realize that you are trying to join a company that caters specifically to the Mexican food market. Links to apply for jobs at Mi Pueblo Food Center are at the bottom of the page. In 1984, Juvenal Chavez, the founder of Mi Pueblo Food Center, emigrated from Mexico. He worked odd jobs while attending night school in order to learn English before joining his brother in 1986 in running Chavez Meat Market. Five years later, Juvenal decided to go off and create his own business, buying Country Time Meats and focusing on the meat industry. He quickly grew his business into a market and called it Mi Pueblo Food Center. 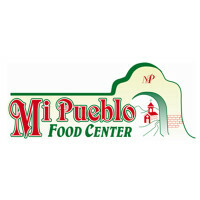 Currently, Mi Pueblo Food Center has nineteen stores in and around the San Francisco, California area. They cater specifically to the Mexican market and encourage people who struggle with English to come to their market by hiring people who are bilingual in English and Spanish. Mi Pueblo Food Center tries to be involved in their community and really works with youths to send them to college. With the Mi Pueblo Food Center scholarship program, they’ve sent over three hundred and fifty students to college with over five hundred thousand dollars in aid. At the corporate level, there are positions available, usually support jobs that will aid the heads of the company. Also, the people who hold those positions will usually work directly with the public if they have some sort of issue that cannot be resolved at the store level. Mi Pueblo Food Center jobs that are local are either in the stores or the distribution center. All stores are in the Bay Area, near where the distribution center is located as well. Within the store locations, there are several positions available, some of which are specialized while others are general customer service positions. How old do you have to be to work a Mi Pueblo Food Center? Age requirements vary by age, for several food-related positions, you need to be over eighteen. As you browse Mi Pueblo Food Center jobs online, make sure to read all job requirements carefully as some positions require various degrees, certifications, or experiences. Those with Mi Pueblo Food Center careers know that store hours are pretty much the same in all of the company’s stores. Usually, the stores open at seven am and close around ten pm. Holidays do effect those hours. Corporate office hours tend to follow traditional business hours. Janitor – You’ll work to maintain a clean and dry floor while providing excellent customer service and answering any questions that the customer may have. As needed, you’ll work with various pieces of heavy machinery and do other duties, as assigned. Compensation is around $30,000 a year. Baker – Preparing, producing, and baking various Hispanic breads and treats is a major part of this position. You will use various baking machines as you work, so knowing how to safely control and use them is a must. Compensation is around $30,000 a year. Administrative Assistant – By supporting company Executives, Directors, and Managers, you’ll help the company run smoothly and productively. With your clerical and administrative services, the company will be efficient and effective in servicing their customers. Compensation is around $35,000 a year. Distribution Center Order Selector – Making sure that all the orders that leave the warehouse are correct is only part of this position, as you’ll also make sure that they’re all packed safely, securely, and completely. Compensation is around $35,000 a year. Why do you want to work for Mi Pueblo Food Center? As this is an extremely common interview question, you should be prepared for it. Talk about what drew you to the company, whether it was the company culture or benefits and why it’s your first choice in places to work. What experience do you have? If you have any relevant experience, make sure to talk about it. If you don’t, as some positions don’t require it, talk about what you can bring to the position and the company. Make sure to use plenty of examples to back up your claims. Where do you see yourself in the next few years? Your interviewer is asking if you see yourself with the company. Be realistic in your career expectations, but make it clear that you’re willing to take on extra responsibilities and challenges in order to move up within the company. As this company is heavily dependent on customers, you may be asked this question in the form of a hypothetical situation: How would you take care of an upset customer? Be practical and realistic, making sure to explain the logic behind your actions as you work to turn the customer’s experience around. Several positions in this company, especially in the grocery stores and the distribution center, will require you to lift heavy objects so you may be asked this question: How much can you lift? Be honest and make sure to explain if there’s anything that can keep you from lifting anything moderately heavy. How to apply for Mi Pueblo Food Center online: start by deciding which aspect of the business you’d like to work in, stores, corporate, or distribution. Once you’ve made up your mind, follow the link and look to see if the position you want is available. Read all the job requirements and thing start filling out your Mi Pueblo Food Center application. There is no printable application for Mi Pueblo Food Center listed on their website. Before attending your interview, do research on Mi Pueblo Food Center and the industry in order to have a list of prepared questions that you can ask. Although this seems excessive, especially for an entry level position, it will show that you thought ahead and really want the position. Have a positive and friendly attitude when you attend your interview as it will give a good impression and show that you’re ready for customer service. Your interview will be in a formal setting, so dress appropriately in business casual at the very least. For a managerial, corporate, or supervisory position, a suit would be more appropriate. Make sure to show gratitude at the opportunity to interview with Mi Pueblo Food Center. After you interview, make sure to inquire about the best way to check on your hiring status. Few applicants will learn if they got the position during their interview, as Mi Pueblo Food Center will want to screen all applicants before making a final decision. Save Mart Supermarkets: Use the Save Mart Supermarkets job application to apply here. Ralphs: See our resource page for more information on Ralphs careers. Weis Markets: See our guide for careers at Weis Markets. Wegmans: Checkout the application page for work at Wegmans. King Soopers: Visit the King Soopers application.